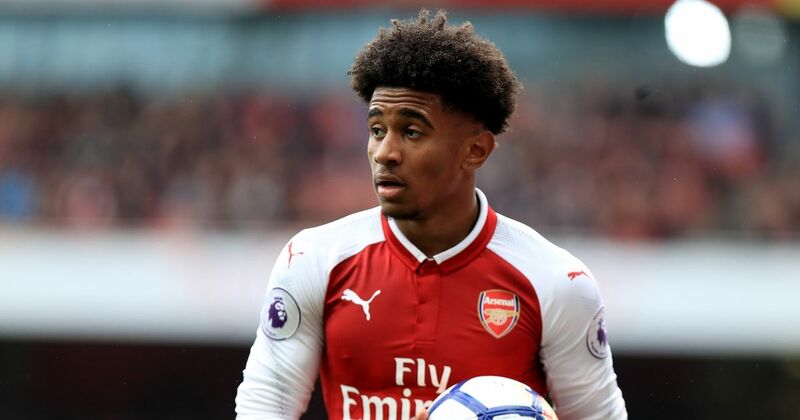 During TSG 1899 Hoffenheim’s 4-1 drubbing of Bayer Leverkusen on Saturday, Arsenal loanee Reiss Nelson angled a superb swerving projectile past Lukáš Hrádecký from the parameter of the 18-yard box, an exceptional goal that was crafted by Julian Nagelsmann’s astute guidance and surveillance. The England U21 international landed the first blow of the Bundesliga encounter at the BayArena after collecting a short corner, courtesy of Vincenzo Grifo, on the left-hand side of the penalty area. Die Werkself were slow to press, and though the teenager lost his footing whilst connecting with the ball, his calculated effort sailed gracefully into the top right of the opposition’s goalmouth. In terms of openers, Nelson’s was simply astonishing, however there was no intentional element of improvisation involved, as the vibrant ‘Young Lion’ – speaking to the media (via Bundesliga.com) – explained that Nagelsmann was very much aware of Leverkusen’s pedestrian tendencies from set-pieces. Deployed in a range of differing roles in TSG’s offensive spearhead, Nagelsmann, who is the German top-flight’s youngest coach, has evidently enhanced Nelson’s development as a threatening, enthusiastic attacker. “He told me to get into space or create space for the team. When I’ve got the chance to run one-on-one then I should. He gives me confidence.” He proceeded. Nelson’s latest strike was his fifth goal in six appearances since joining Hoffenheim on a temporary basis in the summer transfer window, and the vibrant 18-year-old is swiftly becoming one of the Bundesliga’s most promising prospects, alongside fellow Englishman Jadon Sancho of Borussia Dortmund. Plaudits are rightfully coming Nelson’s way thick and fast from admiring onlookers, including his new awe-struck teammates, who are seemingly elated to have the fledgling winger on their books. Share the post "Julian Nagelsmann’s guidance crafted Reiss Nelson’s latest TSG 1899 Hoffenheim goal"